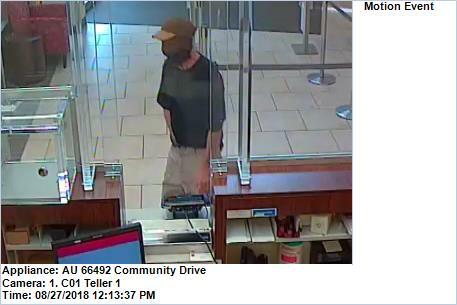 The Palm Beach County Sheriff’s Office needs the public’s assistance identifying a suspect who robbed the Wells Fargo bank on Community Drive. 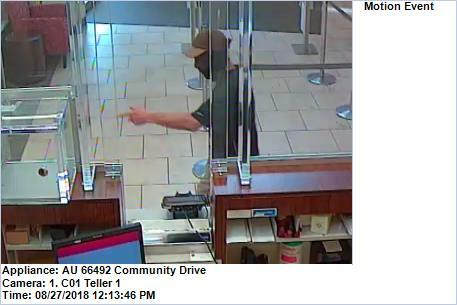 At approximately 12:15pm on Monday, August 27th, PBSO received a call of a robbery in progress at the Wells Fargo Bank located at 4567 Community Drive, W.P.B. The suspect is described as being a W/M, approximately 40-50 years old, 5’6-5’8″, and 130 lbs. 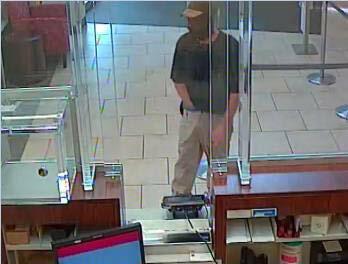 The suspect came into the bank wearing a cap and mask and demanded money, no weapon was seen but it was implied that he had one. The suspect was wearing an olive colored cap with a khaki brim, black shirt, khaki colored pants. The suspect left with an undetermined amount of money from the bank. ← The Palm Beach County Sheriff’s Office needs the public’s assistance identifying a suspect wanted for Fraudulent Use of victims funds.